than to fix broken adults. By starting chiropractic care early in life, your children will reap the many benefits of living subluxation-free. By detecting and correcting structural shifts of the spine, you may be able to prevent your child from the suffering involved with many common issues in childhood and grow to be healthy adults. The goal at Source Family Chiropractic is to adjust subluxations in children’s spines so that they can function at 100% throughout their life. 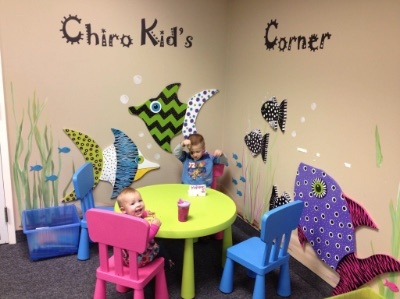 Even young patients enjoy their visits to this family-friendly office. Their adjustments don’t involve any of the twisting, popping or cracking that you may associate with chiropractic care. It’s gentle, specific and often, babies sleep right through it. Schedule your appointment today for family chiropractic care at the practice! Same-day visits are offered for your convenience.